Aisslinger Wernarr is the 17th Arrancar in Sosuke Aizen's army, and one of the gatekeepers of Las Noches. Intelligence: Aisslinger is a keen and perceptive combatant, making use of special traps to judge the speed and strength of his opponents. Cero: A powerful blast of concentrated spiritual energy fired in a laser like fashion that only Hollows, Arrancars, and Visoreds can use. The power, force, speed, and blast area of the Cero is dependent on the strength, spiritual power, and sometimes skill of the user. 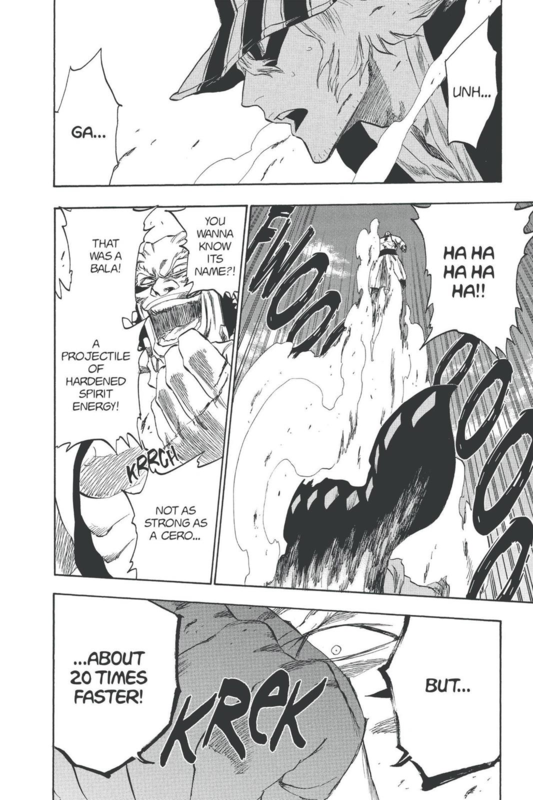 Bala: An Arrancar ability similar to Cero, except it's weaker and 20 times faster. Sonído: The Arrancar equivalent of Shunpo; however, is more akin to teleporting as the character completely disappears from senses from point A to point B.
Hierro: An ability that allows Arrancars to harden their skin with Reiyroku to defend against incoming attacks. Pesquisa: An energy sensing technique that allows Arrancars to sense any foes nearby and gauge how strong they are. Resurrección: The Arrancar equivalent of a Shikai/Bankai, this form allows an Arrancar to unleash their true power as a Hollow. Uña Tirotear: Aisslinger extends all of his arms out from his body at once, and rapidly fires a burst of 108 shots from each of his fingers.